A pretty little Italian girl skips outside to peer up at the unexpected drone of aeroplanes, unaware of the danger as her neighbour, an eccentric opera singer, fervently prays for her teenage son. It is the start of WWII. 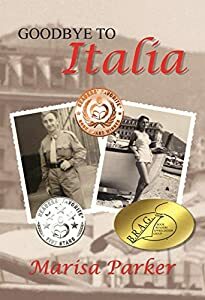 An age difference of thirteen years separates the little girl Mariolina Martore and the army officer Eugenio Piergiovanni, but their lives are destined to intertwine. Mariolina is a timid but stalwart child who lives with her mother and grandmother. During the war years, they endure bombings, cold, hunger, and disease in Torino, Northern Italy. 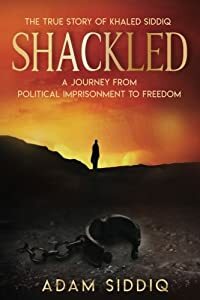 In contrast, Eugenio, a teenage soldier, is captured and spends six years in African prisoner-of-war (POW) camps—one of which boasted 63,000 prisoners at one time. Eugenio’s transition into adulthood during captivity, as told through his diaries, makes for bittersweet humour as he strives to find laughter in sad situations. Goodbye to Italia is a non-fiction romantic story of Italian drama, courage, and humour. So as to stay true to the retelling by my mamma and papa, and to capture the essence of living through those times, the chapters in the first half of the book interchange between the two diverse characters, Mariolina and Eugenio, as they come of age. This wasn’t my life to begin with. It wasn’t my body either. I inherited both, and more, from Mouse. Mouse created me. She had created another life when she was four so she knew how. That’s what people with Dissociative Identity Disorder do. You see, terrible things happened to Mouse when she was very young, so she decided to simply stop growing up when she was eight. Her body aged but she didn’t. At eleven, when something even more despicable happened, Mouse froze herself in time, leaving her life, body, and name to me. Mouse remains an afraid and damaged young girl, living in The Deep inside of us. But don’t worry, she isn’t alone. My name is Jade and I am an alternate personality – the main personality but an alternate nonetheless. I live in this body with Mouse and the other alters: Peter, Neil, Jane, Zen, Nancy, Ray, and Lucy. For over twenty years there had been no more splitting, no one new. Then Anne came along, making alter number ten. This book is the first part of our journey integrating Anne into her new life. 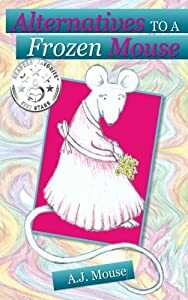 It was her idea to write about it and both our ideas to dedicate this book to Mouse … Our Frozen Mouse – the author of us all. Twins David and Dennis Pischke’s lives change forever when their father dies, and a man damaged by the war arrives at their farm near the isolated town of Moosehorn, Manitoba. Boleslaw Domko quickly works his way into their lives and their mother’s bed. 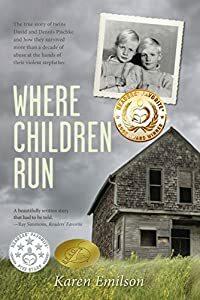 "Where Children Run" opens with one of their earliest memories—the day Domko throws their infant stepsister against the wall. In this first-hand account, the Twins recall years of neglect, starvation, and enslavement; horrific beatings and candlelit nights spent in the nearby St. Thomas Lutheran Church. Neighbors intervene, but their efforts provide only temporary relief as the children's mother—also living in fear—refuses to press charges. The brothers vow that if they survive, they will someday expose their tormentor and members of their mother’s religious organization who turned a blind-eye to their suffering. This is their story—told with stark honesty and in heart-wrenching detail. "Where Children Run" is a timeless, unforgettable book about survival; and a powerful testament to the strength and adaptability of the human spirit. What was it like to be a Jewish teenager in Europe during World War II? One who couldn’t escape or hide but who faced the Nazis head on and survived? Abe-vs-Adolf is the captivating tale of a boy who made it through nine different concentration camps, losing everything but his determination to live. 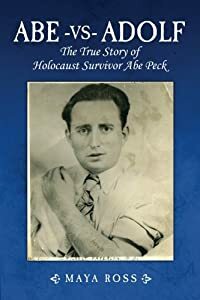 Abe Peck was only fourteen when the Germans invaded Poland, took over his community and forced his family into a rundown ghetto. Over the next five horrific years, as a prisoner and slave in camps like Auschwitz and Buchenwald, Abe endured unimaginable cruelty. What got him through the relentless horror and atrocities? His only way to beat Adolf Hitler was to live to tell about it. As the sole living Holocaust survivor from his entire town, Abe is the only one left who can tell us what really happened to his civilized society when evil took over. "Walt and Lee Jourdan have created something special. The voice of the book resides in Walt’s voice-similar to Jake Lamotta's "Raging Bull" and Louie Armstrong's autobiography. Five Stars" ~ Paul Croshaw, Writer/Director. Little Walt is a nine-year-old Colored boy in 1937 Oakland, California. The Great Depression is in full swing, offering little opportunity for Little Walt to do more than shine shoes and sell magazines to help his family make ends meet. Big Walt, his father, quit school after eighth grade, but applied his resourcefulness to own and operate several businesses, including a boarding house, barber shop, cab company, gas station, a baseball team, a used car lot, and an illegal gambling house. 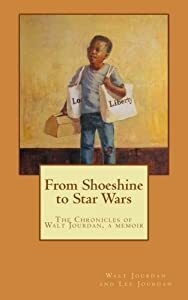 Little Walt had to use his own resourcefulness to break the mold, and he went on to achieve success on the gridiron, as a sailor in the Korean War, and in a society bent on maintaining a culture of subservience for African Americans. But it was not to be a smooth upward trajectory for Little Walt. He struggled to maintain focus after family tragedies, and faced many obstacles, both cultural and personal, as he endeavored to raise a family – ultimately ending in a place no one could have predicted when he lugged his shoeshine box ten miles a day as a nine-year old boy. Forewords by Randall Cunningham, NFL MVP, and Susan Toler Carr, daughter of the first Black NFL official. Award-winning film and television writer, producer and director David Brady's work is best known in Canada, but not stranger to U.S. and European audiences. He has been the President of four film and television production companies. All of his work has been critically acclaimed, including two Golden Globe Nominations for Best Foreign Picture, Best Actor. Productions he has produced have 7 Canadian Academy Awards, a Banff Television Festival nomination and nearly a dozen US Film & Video Awards. He has produced for such networks as The Disney Channel, Discovery, The Smithsonian Channel, TLC, CBC, CTV, France 5, Fox Tel to name just a few. His road to success was filled with childhood trauma that led to substance abuse and massive debt. 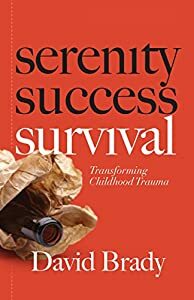 His book provides a simple 8 Step formula to help you find a solution to the effects of growing up in an alcoholic or dysfunctional family. David received an MFA from York University in Toronto and was an undergraduate and graduate student at Simon Fraser University in Vancouver, BC. David has been on the faculties of three universities, York and Ryerson University in Toronto and Capilano University in North Vancouver, British Columbia. 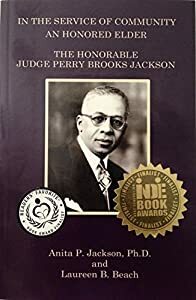 In the Service of Community an Honored Elder: The Honorable Judge Perry Brooks Jackson traverses the life of Judge Jackson, the first African American judge in Ohio, from birth to his death and beyond, noting his challenges and achievements and continued significance. The book is an Indie Book Award finalist in two categories: Autobiography/Biography and African American. It is also a Readers' Favorite finalist in the category of biography. Six years into a clinical career, anonymous mental health worker, Clyde Dee, starts work in a notorious Section 8 housing project. Getting to the bottom of what's going on in a fractured system, Clyde finds himself mysteriously compelled to break the codes of standard drug war conduct. After six months of uncanny threats and coincidences, he decides to go off a low dose of anti-psychotic medication. Stopped by police in an effort to exit the country, he ends up incarcerated in a State Hospital for three months and released to the streets. In the years that follow, Clyde moves through American disparities and cultural delusions, facing some of his worst fears come true. 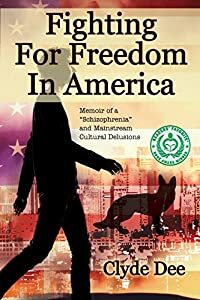 Clyde's story reveals both the innards of "Schizophrenia" and how a person can learn to make peace with the forces that are following them around. With the mob breathing down his neck, Clyde is able to overcome homelessness, underemployment, and harassment. He is able to morph into someone who is fighting to gain attention for his successes in treating others who are in the throes of a "psychotic"
New York City. 1968. I was 24. I had just graduated from college. I applied to VISTA (Volunteers in Service to America) as a possible deferment from the Army and Vietnam. I was young and I thought I knew everything. I figured if they had VISTA in any state they had to have VISTA in every state. I requested an assignment in Hawaii. 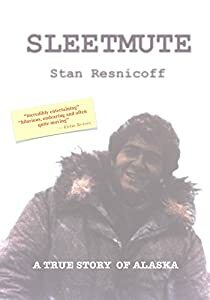 Kirkus Reviews said Sleetmute is “incredibly entertaining” and also “Resnicoff’s encounters fascinate not only because they introduce readers to a world few have ever seen, but also because he’s a gifted storyteller. He channels his 24-year-old self’s confusion and naïveté in a way that is by turns hilarious, endearing and often quite moving”.